Bentley Price Associates, Inc. may access and use the data we collect as necessary (a) to provide and maintain the Services; (b) to address and respond to service, security, and customer support issues; (c) to detect, prevent, or otherwise address fraud, security, unlawful, or technical issues; (d) as required by law; (e) to fulfill our contracts; (f) to improve and enhance the Services; (g) to provide analysis or valuable information back to our Customers and users. 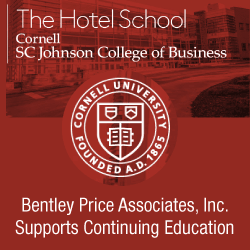 Bentley Price Associates, Inc. is continuously improving our websites and products through the use of various third party web analytics tools, which help us understand how visitors use our websites, desktop tools, and mobile applications, what they like and dislike, and where they may have problems. While we maintain ownership of this data, we do not share this type of data about individual users with third parties. Session Cookies We use these cookies to operate our websites. Some cookies are essential for the operation of Bentley Price Associates, Inc. websites. If a user chooses to disable these cookies, the user will not be able to access all of the content and features. Sending emails about new products or other news about Bentley Price Associates, Inc. that we think you’d like to hear about either from us or from our business partners. You can always opt out of these types of messages at any time by clicking the unsubscribe link at the bottom of each communication. Our customers can always review, update or change personal information from within their account. Bentley Price Associates, Inc. will also, when you request, provide you with information about whether we hold, or process on behalf of a third party, any of your personal information. Please contact us here if you need assistance in reviewing your information. Bentley Price Associates, Inc. will respond to your access request to review the information we have on file for you within a reasonable time. Bentley Price Associates, Inc. follows generally accepted standards to protect the personal information submitted to us, both during transmission and once it is received, however, no security measure is perfect. We recommend safeguarding your password, as it is one of the easiest ways you can manage the security of your own account – remember that if you lose control over your password, you may lose control over your personal information.